LA LAGUNA, located in Jalan Pantai Kayu Putih, Berawa - Canggu. 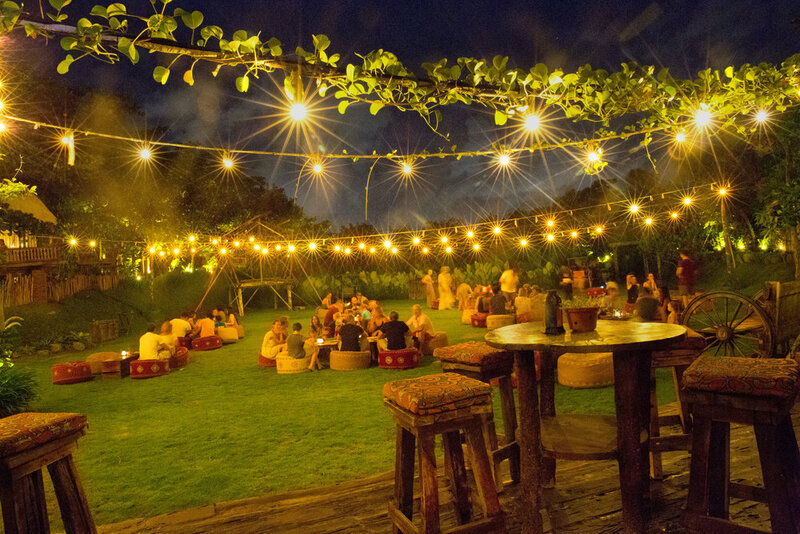 Great venue situated next to the laguna, with gypsy inspired surroundings and amazing atmosphere. When you enter the restaurant through a path you pass by some gypsy caravans that are used as private dining spaces. La Laguna is open since July 2015 and definitely a hotspot in Canggu. The restaurant seating is very widespread, so even when it's a busy, you still have a lot of private space. They have al kind of different of seating possibilities, like sofas, couches, beanbags and normal tables. 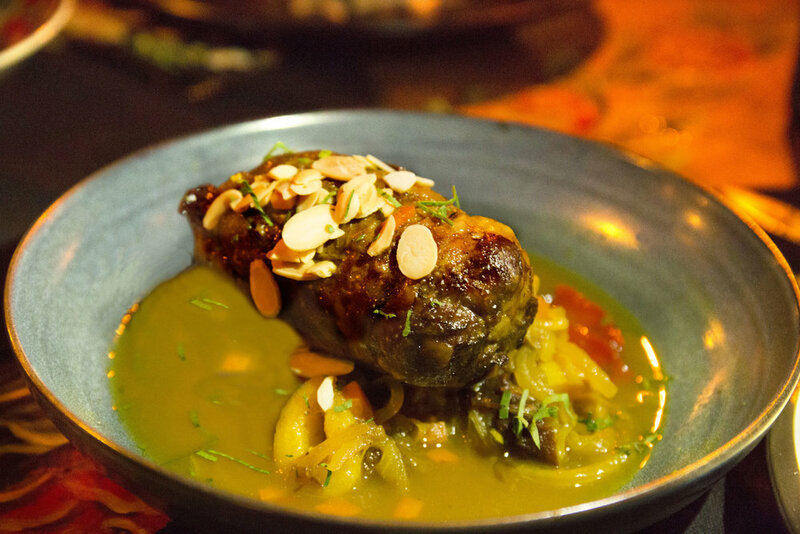 You have the spend at least IDR 150 K, but with the menu prices and a great menu that's not a problem ;-) The menu is a mix of western food with hints to the Moroccan cuisine, with great items such as thin-sliced octopus, grilled king prawns, lamb chops and excellent beef cuts. The total concept is very cool and they have a high attention for detail. 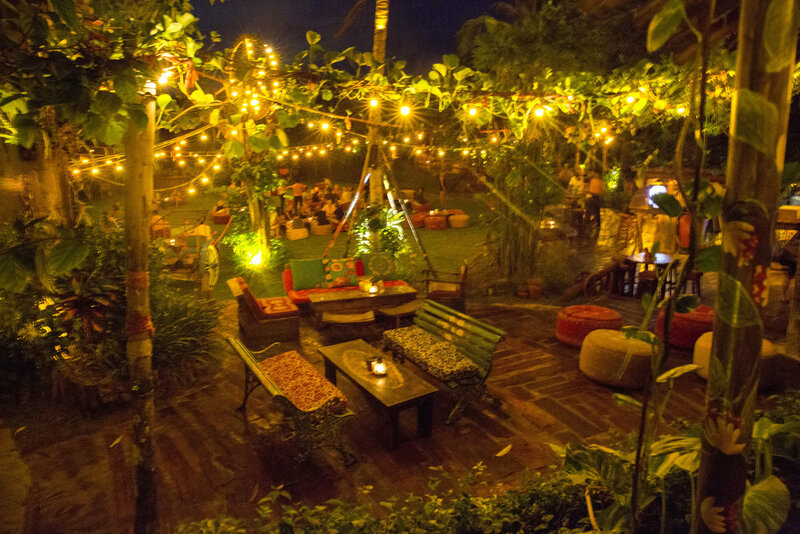 The music, the service and the total surroundings makes it one of the better places around Canggu. Definitely a visit worth during lunch and diner.